Another Thursday night another invite and this time there were rum cocktails on the menu and boy was I there with bells on. 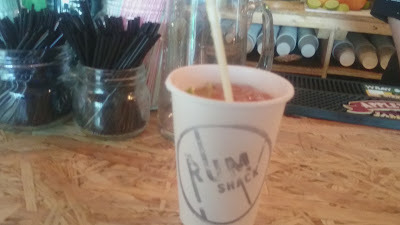 The Bar in question was the newest offering from the Hedonist Project in the form of a Jamaican themed 'Rum Shack' all on a little side street in Leeds. The Pop-Up will run for 12 weeks and then it will be changed to something else as far as I'm aware- a pretty cool idea. 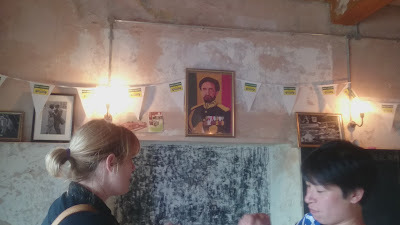 The bar, like I say, is themed like a Jamaican Rum Shack and you are instantly transported to Kingston or Montago Bay. The Decor is fab, it has some really cool artwork, shabby chic seating and most importantly a selection of fab rum cocktails. 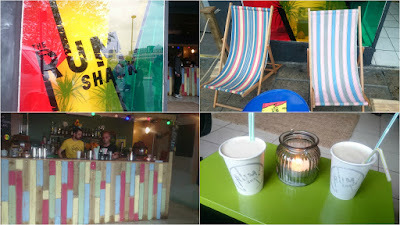 On the night we sampled both the rum punch (punch by name and punch by nature) and the Pina Colada's and they were fab. I actually didn't think I liked Pina Coladas but this place has changed my mind. 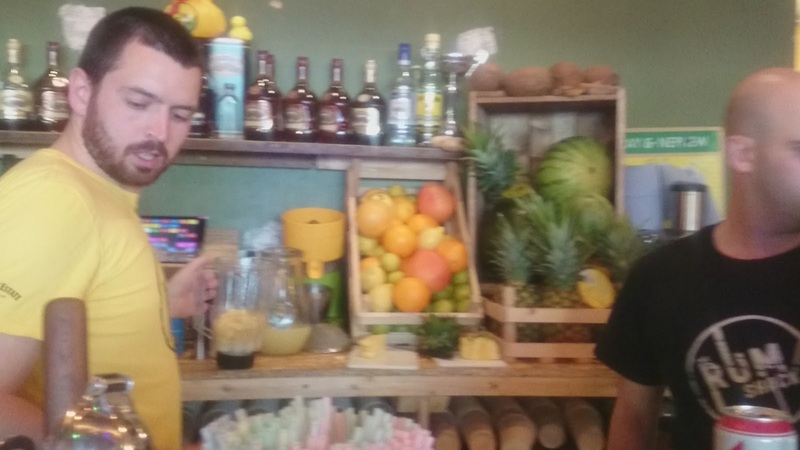 The bar is located on Cross Belgrave Street in Leeds city centre, right beside the Belgrave Music Hall and Canteen if you are familiar. 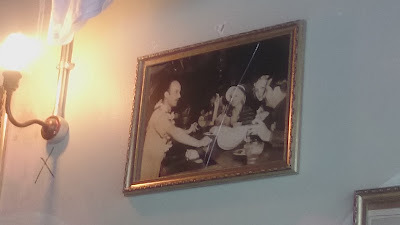 The staff were really nice and accommodating and happy to pose for the pictures all us bloggers wanted. I got to see/meet some lovely bloggers like Sammie, Laura, Rebecca and Gabby which is always a highlight of these events and I also got to bring along my friend which was good and she really enjoyed it too and said we need to go back. So like I say it's only running for 12 weeks so get your skates on and get down for a taste of a Caribbean holiday without leaving Leeds. Disclaimer: Drinks were provided free of charge but did not influence my review but they may have lead to me getting very little pics. You can see more in my Vlog here or below.